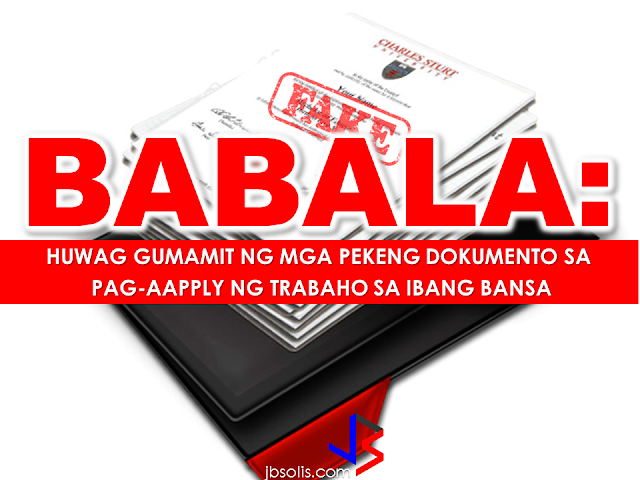 To those OFWs who submitted fake or altered documents while applying for jobs abroad, it will only be a matter of time that the authorities find out about it and to those who are applying or planning to apply for a job using forged documents, you better think again because you will only put yourselves in trouble by doing it. In UAE, people who fake certificates to get a visa or a job will get ten years jail term, while those who photocopy official documents and tamper with them face up to five years in jail. In 2014, forgery of educational certificates constituted around 40% of all document fraud cases according to the Abu Dhabi Judicial Department (ADJD) . The Public Prosecution referred 100 cases involving the falsification of documents — with counterfeit degrees and educational certificates — representing around half of them. “This has become a phenomenon committed mainly by those of Asian nationality as they try to find jobs or visas in the country that correspond to the falsified degree they claim to have. The forgery is usually discovered as these individuals give in their degrees to foreign affairs offices for attestation,” according to a source in public prosecution. Suspects face charges of forging an official document, faking a stamp, and attempting to use the fake document. 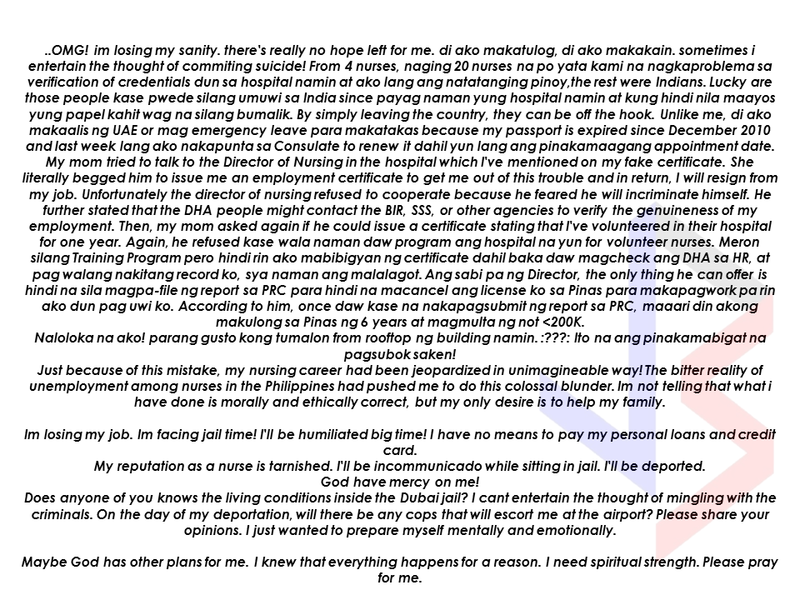 The warning does not apply only on OFWs but to all expatriates. In Saudi Arabia an expatriate from other Arab country sentenced by Jeddah court to a 1.5 years in prison while fine 5000 Saudi Riyal.He will also face deportation after the prison punishment because of using a fake degree. This expatriate use his Ph.D degree for job in private dispensary. 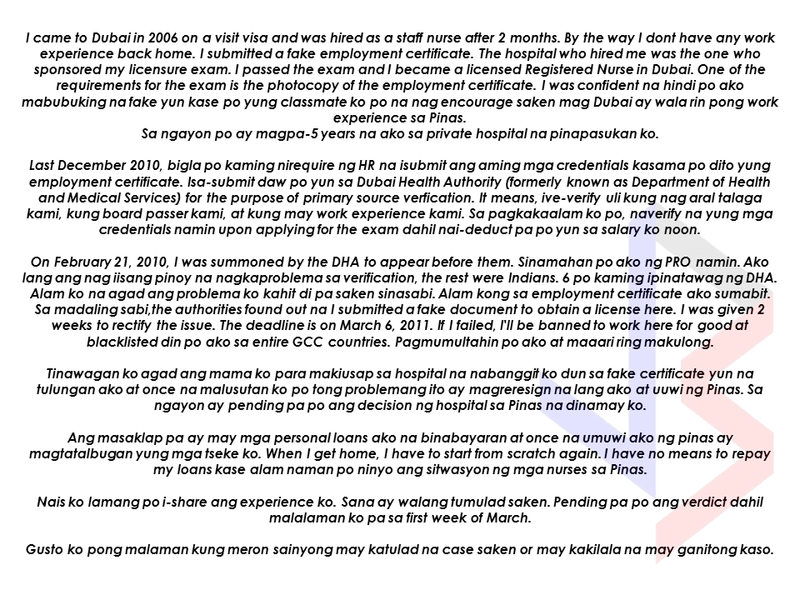 He was informed by ministry to the local police when the employer asked him for authentication of his document. Obtaining a fake document is easy but the authorities have ways and resources in finding out if you are submitting an authentic document and most people are not aware of it. It will be a matter of time but they will sure find out if you submitted forged documents and press charges to the violators. The Saudi Arabian government started mounting a crackdown on fake diplomas and other documents that land users in lucrative jobs in the kingdom by using fake degrees and credentials. “The Ministry of Interior will apply statutory penalties on people involved in counterfeiting academic degrees,” said a statement quoting Maj. Gen. Mohammed Bin Abdullah Al-Maroal, a ministry spokesperson. People who will be caught using fake documents will undergo trial and penalized if proven guilty, they will face jail term and be deported after serving their jail term. They will also never be allowed to enter the kingdom again according to Al-Maroal. An investigation by the Ministry of Education has revealed a huge number of candidates— Saudis and foreigners alike — who have obtained fake degrees and diplomas from illegal agents, Arab News report said. Fake documents are everywhere for a cost. Avoid using them and don't even think about it. Instead of landing on your dream job, you may land in jail and that could be a nightmare. The Department of Foreign Affairs fervently warn OFWs against submitting fake documents while applying overseas jobs to avoid getting themselves into trouble. “Please secure documents from official and legitimate sources. Do not fall prey to fixers. For your protection and benefit, use only authentic documents,” she added. Barney Almazar, lawyer at Gulf law, said that an OFW had recently been arrested by operatives of Civilian Irregular Defense Group (CIDG) and imprisoned after it turned out the document she submitted a fake document, which she had processed by someone in the Philippines.